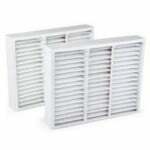 Honeywell 5" AC filter removes many allergens from the air in your home. Honeywell media filters are designed to keep up the efficiency of your HVAC system and indoor air quality. 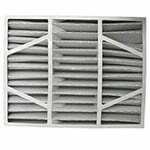 Improve the quality of air around your home with the Honeywell FC100A1029 replacement air filter media. The deep pleated 5-inch filter design features a greater surface area to improve air flow during the life of the product. The FiltersFast Brand Honeywell Compatible MERV 11 Air Filter can be used as an upgrade for Honeywell part number FC100A1011. Upgrade your Honeywell Media Filter today and get a better filter for the same price as the original manufacturer's brand! 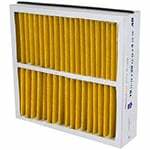 The Filters Fast, Carrier Compatible 16x25x5 MERV 11 Air Filter can be used as an upgrade for Honeywell part number FC100A1029. Upgrade your Honeywell Media Filter today and get a better filter for the same price as the manufacturer's brand! 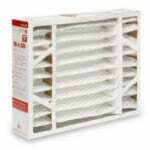 The Honeywell PopUp replacement air filter media is available in several sizes and features a MERV 11 rating. Installers and homeowners can save space and money. Filter is compatible with Aprilaire cabinets. 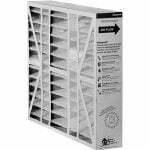 The FiltersFast Brand 16x25x5 Honeywell FC100A1029 2-Pack is a compatible version of the OEM Honeywell 16x25x5 FC100A1029 Air Filter. 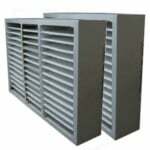 This filter is supported by a 30 gauge galvanized expanded metal grid. The Honeywell FC100A1003 16"x20" Media AC Filter can be used with Honeywell 16 x 20 Air Cleaners including the Honeywell F100F1004, F100B1008, F150E1000, F100F2028, and others. Genuine Honeywell Part. 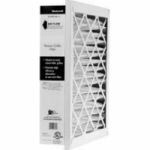 FiltersFast Brand Honeywell FC100A1037 MERV 13 2-PACK is a compatible media air filter with a MERV 13 energy efficiency rating. 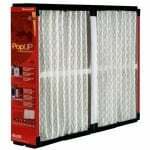 This replacement filter is also known as part number FFC20255HONM13. 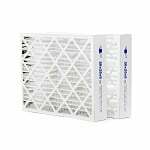 The FiltersFast MERV13 Replaces Honeywell 16x25x5 FC100A1029 is the compatible version of the genuine Honeywell FC100A Series Residential Air Cleaner Filter. 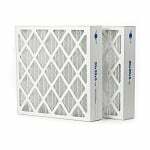 The Filters Fast FFC16205HON 2 pack compatible air filters replaces the Honeywell FC100A1003 and provides an array of solutions for contaminated indoor air. 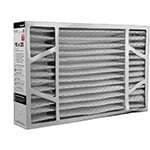 The Honeywell FC40R1029 is a high-efficiency, replacement filter for return grille applications that will capture airborne particles as small as 0.3 microns in size. 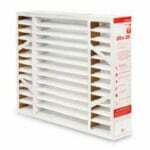 The Honeywell FC40R1003 a high-efficiency, replacement filter for return grille applications. Designed to capture airborne particles that circulate through the filter. Nominal Dimension 20x20x4. Genuine Honeywell Part. The FilterFast Brand Honeywell 20x25x5 FC100A1037 2-Pack is the compatible version of the OEM Honeywell 20x25x5 Air Filter FC100A1037. 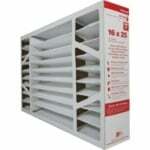 The Honeywell FC40R1102 is a high-efficiency, replacement air filter for return grille applications. Designed to capture airborne particles that circulate through the AC filter. Nominal Dimension 14x14x4. Genuine Honeywell Part. 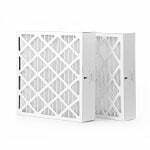 The Honeywell FC40R1078 Return Air Grille Filter is a high efficiency, replacement air filter for return grille applications. Designed to capture airborne particles that circulate through the filter. Nominal Dimension 24x24x4. 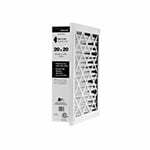 Honeywell HFC40R1011 Return Grille Filter 20"x25"
The FiltersFast Brand Honeywell 20x20x5 FC100A1011 2-Pack is a compatible version of the genuine Honeywell FC100A1011 20"x20" Media AC Filter. This filter replacement is also known as part number FFC20205HONM13. 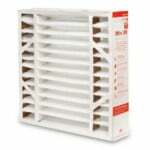 Honeywell FC40R1045 14x25 Return Air Grille AC Filter is a high efficiency, replacement for return grille applications. Designed to capture airborne particles that circulate through the filter. Nominal Dimension 14x25x4. Genuine Honeywell Part. 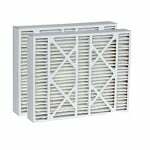 Honeywell FC40R1060 16x25 Return Air Grille AC Filter is a high efficiency, replacement air filter for return grille applications. Designed to capture airborne particles that circulate through the filter. Nominal Dimension 16x25x4. 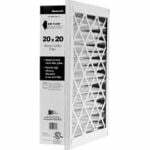 FiltersFast Brand Honeywell 20x20x5 FC100A1011 2-Pack Air Filter is an economical compatible version of the OEM Honeywell FC100A1011 20"x20" Media AC Filter. To save money, this air filter replacement comes in a 2pk value set.